Jim began his teaching and coaching career at Highland High School in 1970. He was hired to teach Social Studies on the condition that he start the men’s soccer program. 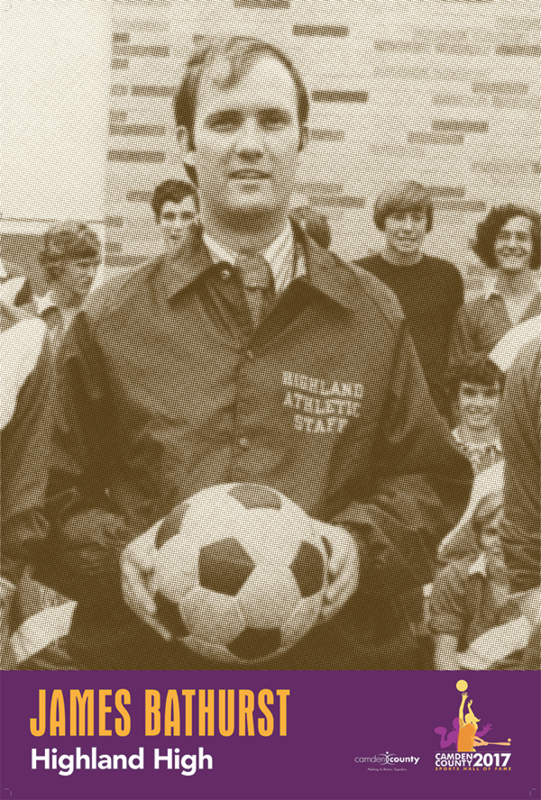 Although with no prior soccer experience, Mr. Ben Lynch, Highland AD, convinced Jim that he could do the job. Jim says this was one of the best decisions he ever made. To this day, Jim credits Mr. Lynch for giving him the opportunities that paved the way for him to achieve whatever level of success came his way in coaching and education. Jim coached that varsity men’s soccer team from 1970-1977, and experienced only one sub .500 season. Over those first eight years, the team had a 79-29-18 record, won 5 Olympic Conferences championships, and was 2-time SJ Coaches Tournament Champion. The team was regularly ranked in the Top Ten in South Jersey and Top Twenty in the state. In 1977, the team was ranked #1 and awarded the Courier Post Cup. Jim was named SJ Soccer Coach of the Year in 1972. Jim also had a vision to turn soccer into a night-time event and turn soccer into a bigger spectator sport. In 1973 Jim saw his vision become a reality. With the assistance of the Highland Athletic booster club, Highland installed lights and was able to host the first night soccer game in South Jersey. After a seven year hiatus from coaching, Jim returned to start the women’s soccer program in 1984. Jim acknowledged that this was a great deal of fun and was blessed with a group of young ladies who were passionate about the sport of soccer and dedicated on the field of play. He coached the girls from 1984 to 1987. During that time the teams compiled a record of 41-25-2. The teamnever had a losing record, and qualified for the state tournament each year. Jim was president of the South Jersey Soccer Association from 1978-1981, a high school soccer official for over 20 years, and the NJSIAA Boys Soccer Tournament Director from 1982 – 2010. He was inducted into the South Jersey Soccer Hall of Fame (2016), The Highland Athletic Hall of Fame (2016) and the South Jersey Coaches of Boys Athletics Hall of Fame (1993). In addition to teaching and coaching at Highland High School, Jim served as Athletic Director for 15 years (1973-1988). During this period of time he oversaw the expansion of opportunities for women and added the sports of swimming and indoor track. Jim also is a past president of the state Athletic Directors Association. He received the prestigious “Award of Honor” from the Association for his contributions to high school sports throughout the State of New Jersey. Jim has been married to his wife, Mary Beth, for 48 years and they have three children; Jeff (lori), Michele (Kevin) and Blythe (Sean). Most importantly, they are the proud grandparents of eight grandchildren.